I love these words, and they still ring true today. As we look to the future, our country will prepare again to pass the torch to a new generation of Americans. Similarly, in the social sector, every leader must eventually leave his or her organization. Ideally, it should be through an intentional and positive process, such as a succession plan. Some experts even suggest an organization’s overall health could be measured by how seamlessly it weathers an executive transition. Much like Kennedy suggested, in order for the social sector to continue its pace in abolishing poverty and other issues, it requires us to think ahead to ensure that we have the governance, plans and talent in place to ensure an effective transfer of power, knowledge and vision. However, in our practice, we have found succession planning is both underutilized as a risk management tool and misunderstood by staff and board members. 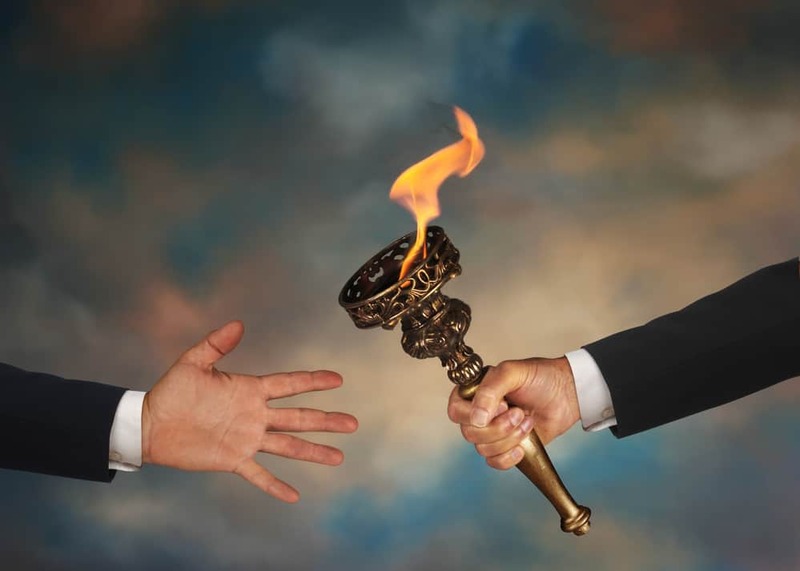 First, succession planning should not be utilized just for the top job at an organization, but any job where service would be compromised by a difficult transition. Second, succession planning should consider both types of change – planned and emergency transition. Third, many view succession planning as a negative task, but transitions happen for all types of reasons and can ultimately have a positive impact on an organization. It can be a time of opportunity to commit to and act on expanding the capacity of the organization. Finally, many organizations treat succession as a time-limited event rather than a transition, which is slower and requires effort before, during and after the executive leaves the organization. Taken together, the goal of succession planning is to build a stronger, more stable organization. The Annie E. Casey Foundation has published a series of excellent resources and guides to assist staff and boards with succession planning. They make the process simple and straightforward. There are also a number of amazing templates that are ready-made for any nonprofit to customize. 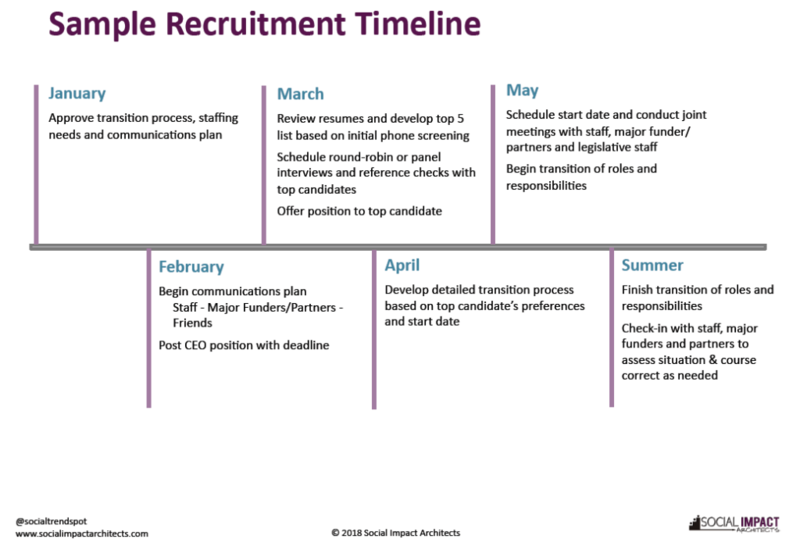 We also have included a sample recruitment timeline for consideration. We encourage each social sector organization – of any size – to find the best guide for your organization and schedule this topic at your next board meeting or assign it to the governance committee as a key priority for consideration. Some staff and boards worry that discussing succession planning may send the wrong signal – that the organization or the person wants to move on. In our opinion, the only signal that it sends is that the board and staff are responsible stewards of the organization and are committed to serving the community without interruption. As always, we welcome your thoughts and experiences regarding succession planning.